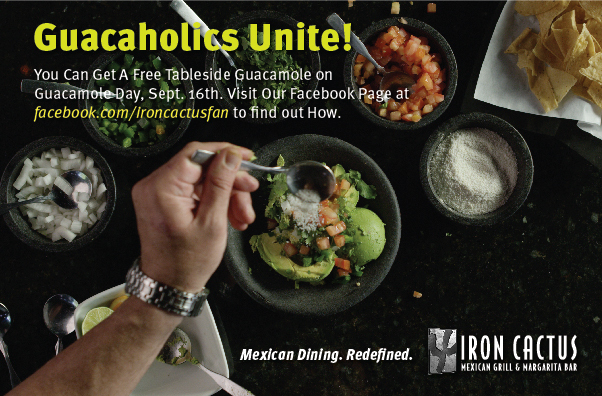 On September 16th, Guacamole Day, all Iron Cactus Mexican Restaurant locations (Downtown Austin, North Austin, Downtown Dallas and San Antonio River Walk) are giving away ONE FREE Tableside Guacamole (a $12 value) to guests who show the official image from our Facebook Page or Instagram Feed with a purchase of two entrees. 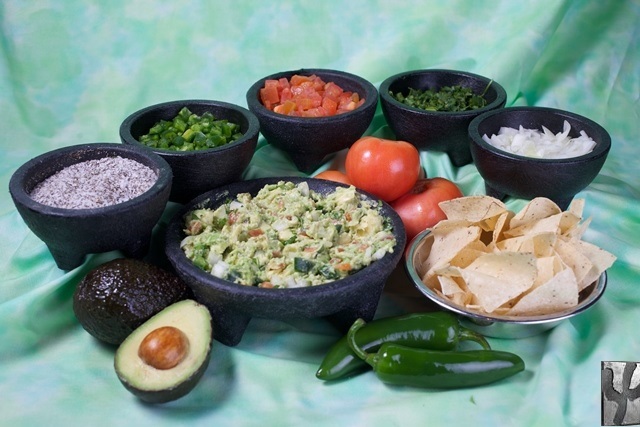 Our Tableside Guacamole is served using the freshest ingredients and made tableside (hence, the name) by your server. If you’d like to learn how we make our Tableside Guacamole at our Mexican restaurant locations, click here. In Austin Mexican Restaurants, San Antonio Riverwalk Mexican Restaurants, Dallas Mexican Restaurant Tagged free guac, guacamole day Bookmark the permalink.